Mushrooms with the J-M Fresh label come from a family-run operation in Miami and are shipped throughout the region. Mushrooms are a delicious, perhaps surprising, source of nutrition. Full of protein and antioxidants, some mushrooms also provide potassium or vitamins D and B12. 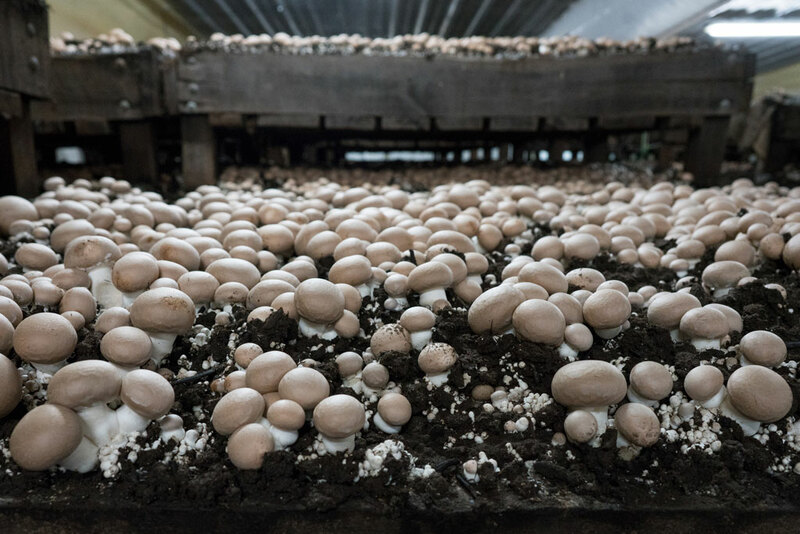 The mushrooms from J-M Farms in Miami are not just healthy to eat – they financially sustain hundreds of people and have been the central focus of a bustling family business for nearly 40 years. J-M’s first mushrooms were harvested March 13, 1980, when the farm was designed to grow 40,000 pounds of fungi per week. Today, it’s 525,000 pounds per week. J-M grows white button mushrooms, as well as portabella and brown or crimini mushrooms. They are packed under the J-M Fresh label and shipped throughout Oklahoma, Texas, Arkansas, Mississippi, New Mexico, Kansas, Missouri and Iowa. CEO Curtis Jurgensmeyer says J-M’s mission is to provide the safest, best quality product. 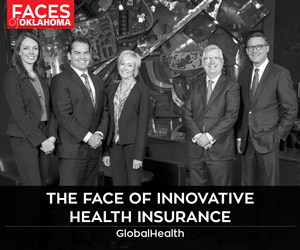 Within this simple mission is a long history of caring for customers and employees alike. Virgil Jurgensmeyer, Joe Jurgensmeyer and Darrell McLain founded the farm and began construction in 1979. The location became an all-Jurgensmeyer operation when, in 1982, the family purchased McLain’s interest. 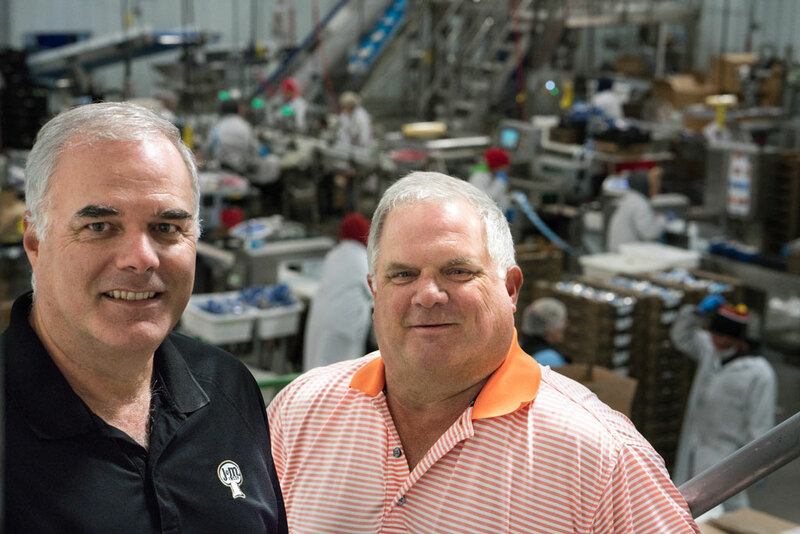 Pat and Curtis Jurgensmeyer, sons of Virgil, are now president and CEO, respectively, and co-manage more than 500 employees, including 22 management teams. Curtis Jurgensmeyer says the farm is one of the largest employers in northeastern Oklahoma and one of the top 15 nationally in size for one-location mushroom farms. Education and supporting the community are important at J-M. Virgil Jurgensmayer was an educator before starting the farm. His legacy can be seen in all J-M supervisors, who allow employees time off to attend school functions, such as parent-teacher conferences, chaperoning student events and other activities. J-M also holds the annual Steve Wright Memorial Golf Tournament, named after a J-M manager who died in 2013. Proceeds from this fundraiser go to local nonprofits. “It is a pleasure to come to work. The people make it special; all of our employees do,” Curtis says. So, toss some mushrooms on your salad or enjoy them stuffed as an appetizer. You can even try a portabella burger as a substitute for ground beef because mushrooms are good for you – just like they have been good to the Jurgensmeyer family, J-M Farms and northeastern Oklahoma for four decades.